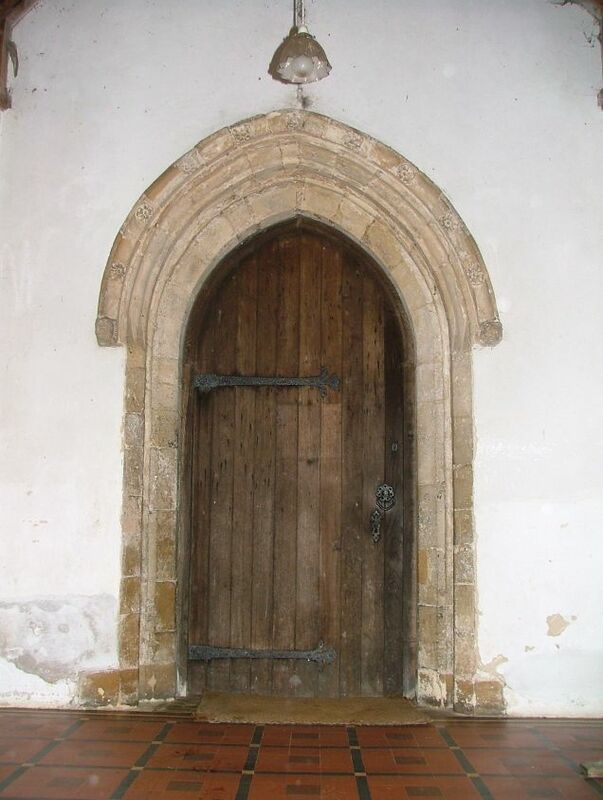 Sam Mortlock is a kind and generous writer, and in his elegant Popular Guide to the Churches of Norfolk he can find little to say about Swainsthorpe. And yet, he obviously liked it a good deal, and that was exactly how I felt about it. 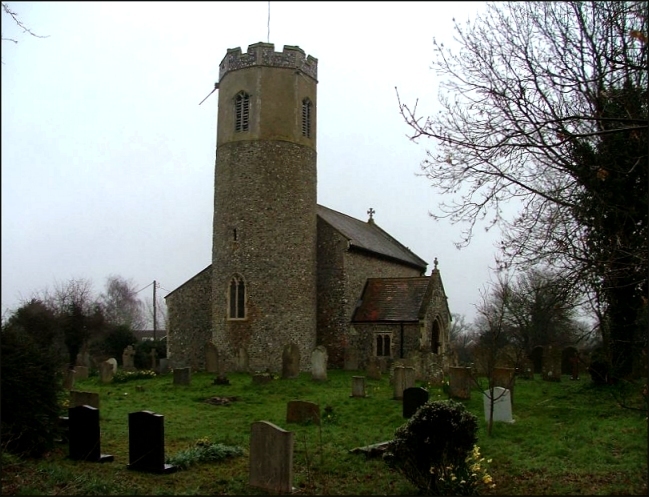 Here is a simple little round towered church, within sight of the busy A140 but with a sense of deep rural peace about it. Peter and I came here on the only gloomy day in March, and in truth the weather was at its worst while we were at Swainsthorpe, a haze of drizzle settling on the small graveyard. 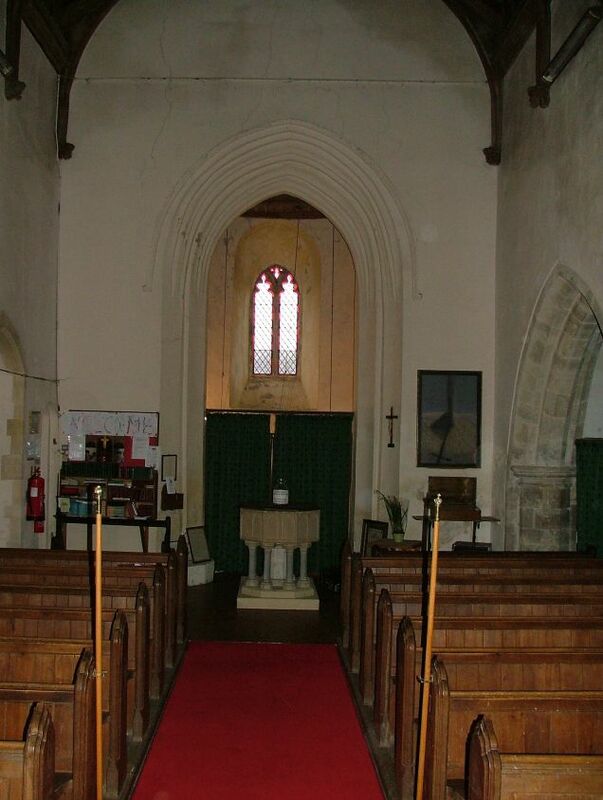 The pretty Decorated east window faces the lane, and beyond the chancel and small aisled nave huddle beneath the round tower with its later octagonal top. The run off pipes from the gargoyles look disconcertingly like shot guns - but then, we are in Norfolk. 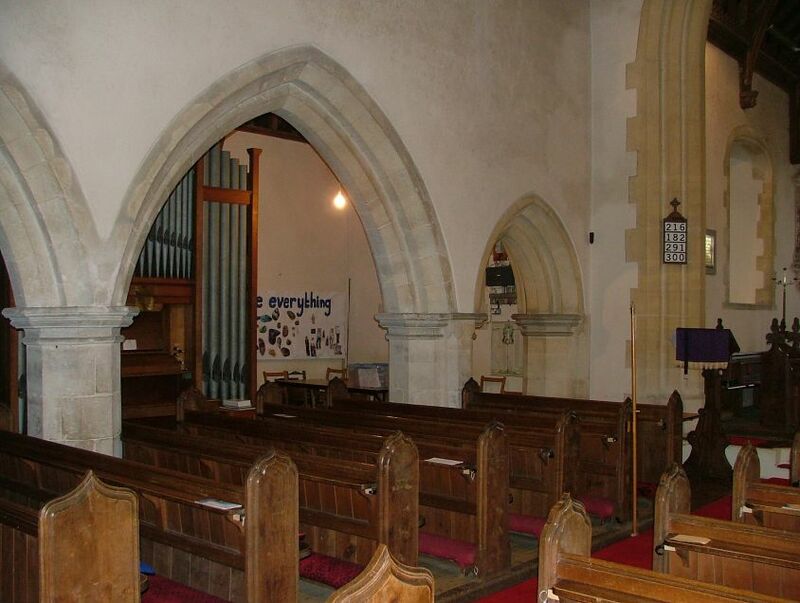 Inside, the nave is again simple, Victorianised with tiles and pitch pine benches. 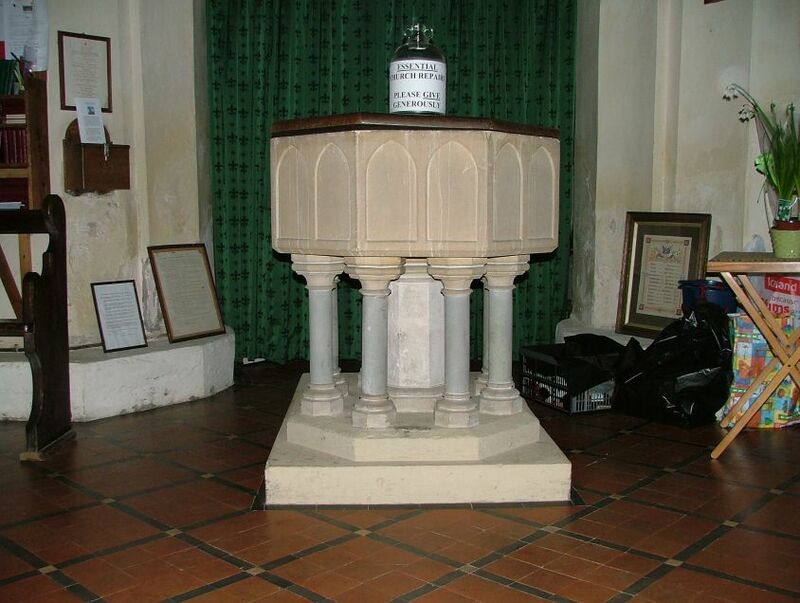 The font is in the style of those 13th century Purbeck marble ones you find so often in East Anglia, octagonal with sixteen arcades. It may be a recut old one, but is as likely entirely Victorian, as is the collonade on which it sits.There's a curious heating control beside the font made by Gidney of Dereham, which must be contemporary with the restoration. Mortlock liked the memorials best, and so did I. 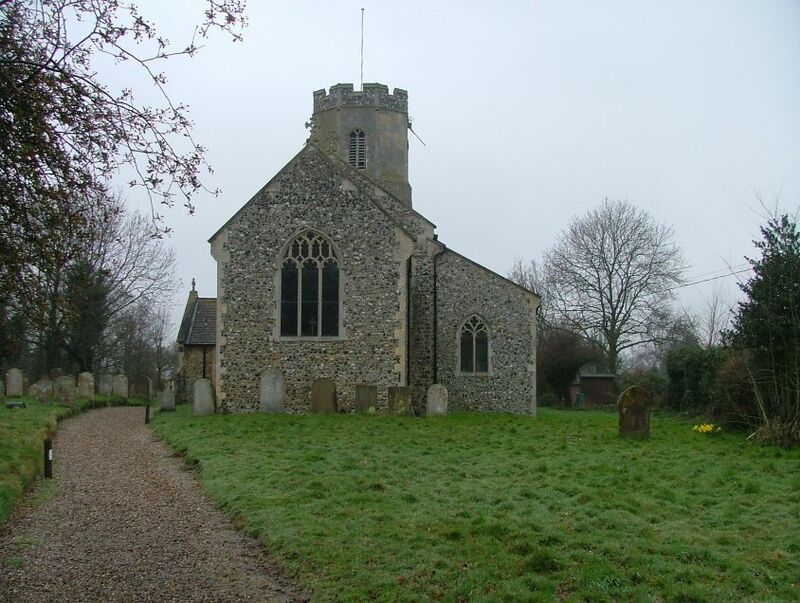 They are not to citizens of the first rank, but are typical of the way in which a country parish, over the years, has chosen to remember its members who were significant. 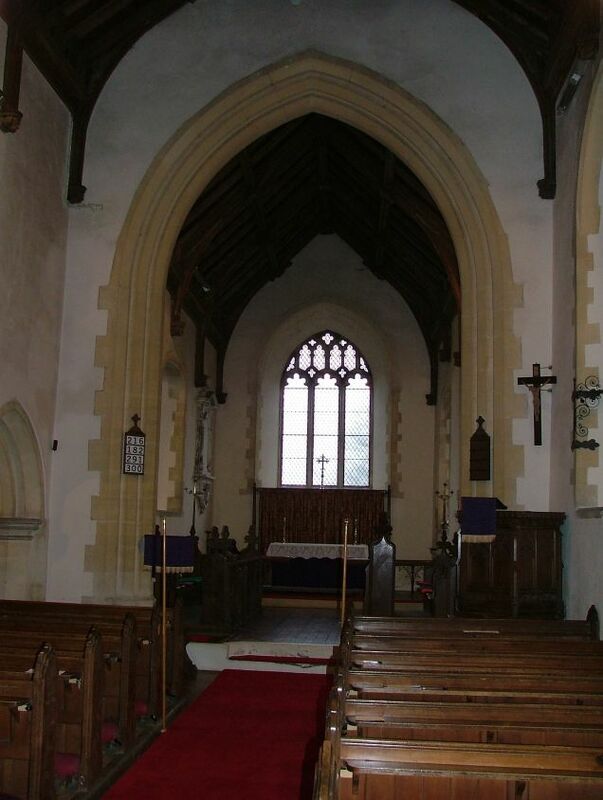 The best is the brass plaque on the chancel wall to one Gilbert Havers who served Quene Elizabeth. 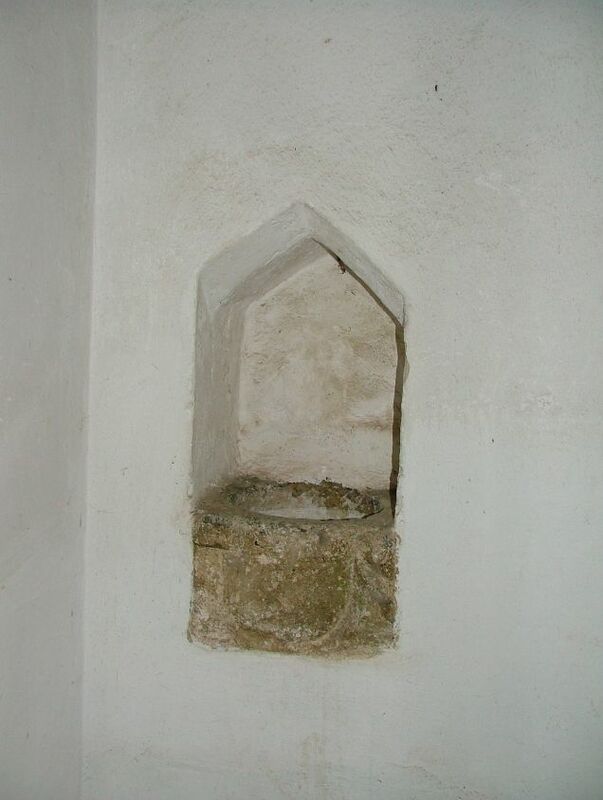 Captaine in Barwick (Berwick), then in Scotland, after in Ireland, and last in the Netherlands 22 years... He lyved 87 years and dyed the 5 of May 1628. Out in the graveyard to the south-west of the tower is a great curiosity, the like of which I cannot remember seeing anywhere else in East Anglia before. 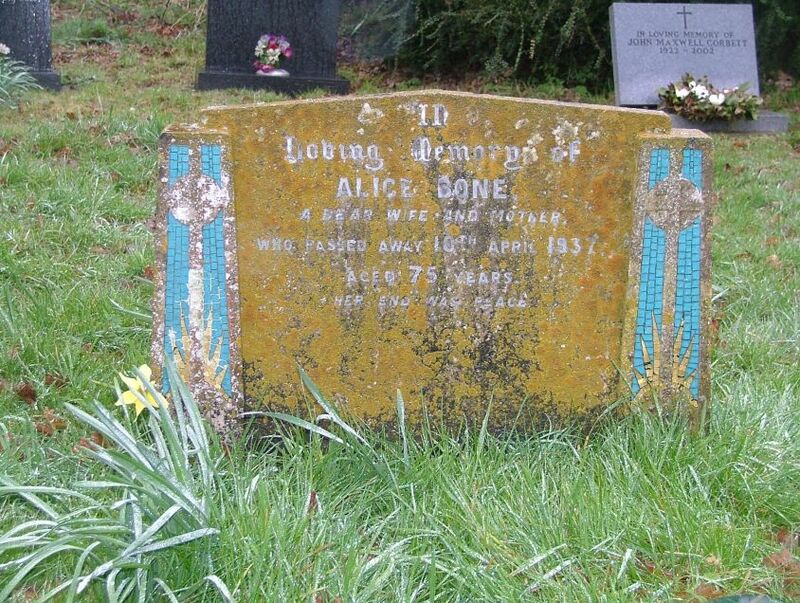 It is an Art Deco tombstone of the 1930s, designed in the style you might find in a cinema of the time, with mirror mosaic inlays and aquamarine paintwork on either side. If a miniature organ were to rise out of the ground in front of it, the illusion would be complete.